J. Wilkes Winery’s Wes Hagen, who in 2013 was voted one of the 100 most influential winemakers in the US, combined facts, comedy, anecdotes and audience feedback to inform and delight the crowd throughout the night. No question was too simple or complex for him and he held nothing back in providing some provocative answers. The entire lineup of five wines was well received but two wines stood slightly above the rest: 2014 J. Wilkes Cabernet Sauvignon, Paso Robles Highlands District and the 2012 J. Wilkes Late Harvest Pinot Blanc, Santa Maria Valley. This was the premier vintage of Cabernet from the winery making it all the more amazing and special to taste. The LH Pinot Blanc (only 90 cases produced) scored a 90 point score with both the Wine Advocate and Vinous, two highly respected wine rating entities. Guests took great advantage of the special event pricing to order these two as well as the other excellent wines. Guests were treated to a masterful menu created by Executive Chef Theo Ioannou. He pushed the concept of wine and food pairing to the extreme (can you say “untraditional apple strudel, ricotta & passion fruit quenelle with a 2012 J. Wilkes Late harvest Pinot Blanc”?). Top pairing of the night was the organically fed Colorado herb-crusted Rack of Lamb and the 2013 J. Wilkes Pinot Noir, Santa Maria Valley. 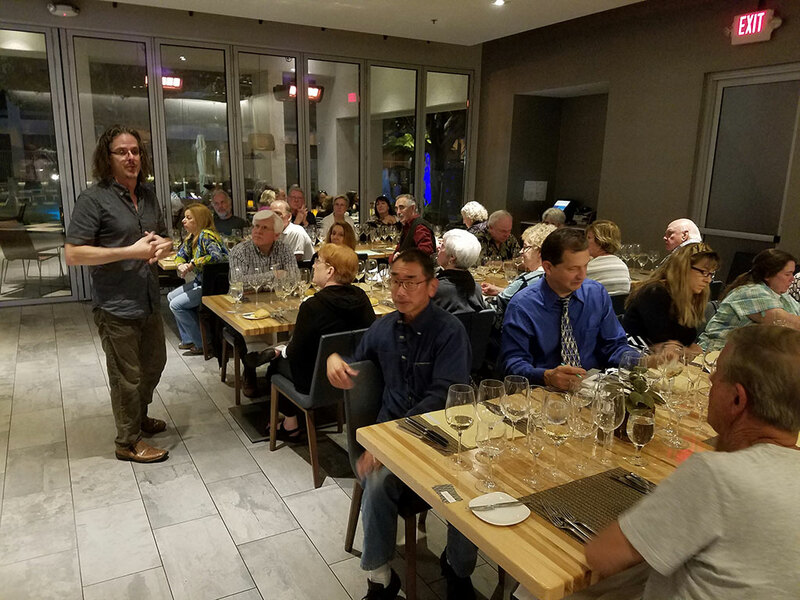 J. Wilkes Winemaker Wes Hagen provided insight, history and comedy to all the guests at Barbianca. 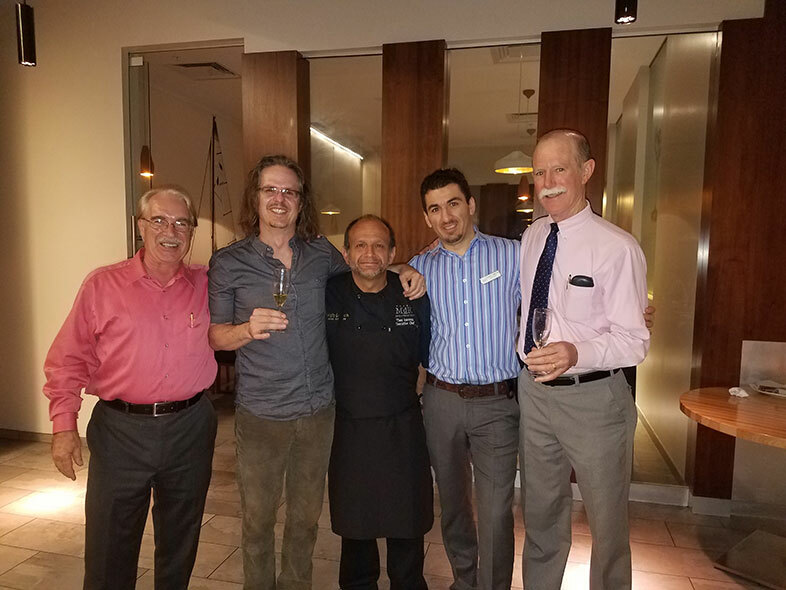 Peter, Winemaker Wes, Barbianca Chef Theo, Barbianca Mgr. Louis and Bart- the team behind the J.Wilkes Winemaker dinner.